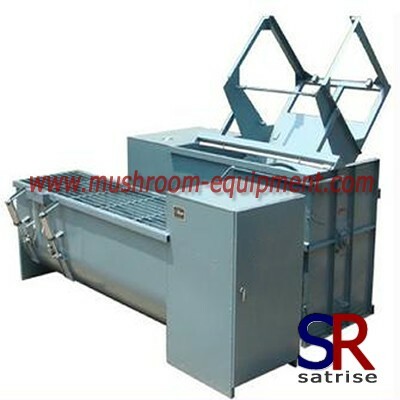 Mushroom cultivation machine/Mushroom mixer manufacturers,Mushroom cultivation machine/Mushroom mixer exporters,Mushroom cultivation machine/Mushroom mixer suppliers,Mushroom cultivation machine/Mushroom mixer OEM service. This mushroom culture material mixer adopts spiral ribbon structure and water spray mist device. It can add water when mixing, and discharge mixed material after opening outlet plate. and automatic bag filling machine, making up a production line.